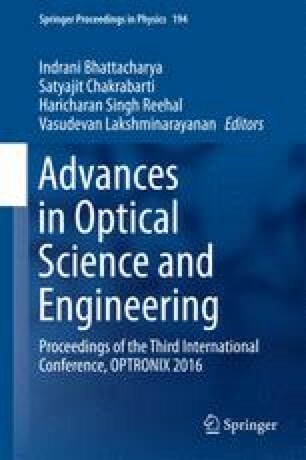 In this paper, we propose a 3-bit gray to binary code converter using Ti-indiffused Lithium Niobate based on Mach-Zehnder Interferometer (MZI) waveguiding structure. All optical XOR logic gate is the basic building block for this code converter. At the output port, we get binary output in form of optical signal and also their complements which can be used in further computations and reduce the required hardware. The proposed device offers high switching speed and tolerable losses. The extinction ratio achieved is around 20 dB. The proposed combinational circuit can be useful in optical logic devices. The authors are grateful to India–Ukraine inter-governmental science & technology cooperation programme between the MNIT Jaipur (India) and the Lviv National Polytechnique Institute, Lviv (Ukraine) for technical support. Project sanction no: INT/RUS/UKR/P-15/2015.